The initial steps for apostilles are identical. 1. First, a notary public notarizes the primary signature on the document. 2. Next, the notary’s signature is certified by the county clerk in the county in which the notary public took the oath of office. 3. 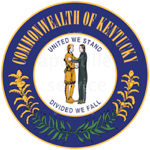 Finally, the Secretary of State issues his certification by certifying the county clerk’s signature and affixing an Apostille or a Certificate of Authentication. The county clerk must certify the notary public's signature. 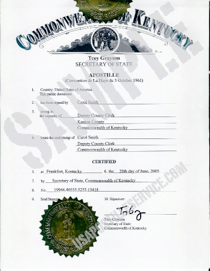 In some counties, if the county clerk isn't available, a deputy county clerk may be designated to sign the document being apostilled or authenticated. However, not all deputy county clerks are authorized to sign these documents. If a person has a divorce decree or other documents coming from the circuit clerk's office, these documents should not only be signed and certified by the circuit clerk or a judge, but it must also be notarized and certified by the county clerk. Also, all vital records must contain the computer generated signature of the current registrar. Only Mexico must have a live signature from the office of vital statistics.